Qigong Form: Tai Ji Yang Sheng Zhang (Health Preservation Stick Routine), base on the harmony of yin and yang (harmony of internal and external), with graceful movements and smooth transitions it is safe and relatively easy to learn. The Yin and Yang symbol has a great meaning and was first referred to in the 4th Century BC and is mentioned in the ancient Book of Changes. The symbol and the small dots indicate that there can never be Yin without Yang and never Yang without Yin. It is the notion of complimentary opposites and is an all-encompassing constant process of change in our natural environment such as day and night, summer and winter, hard and soft, open and closed etc. When applied to Tai Chi we apply opposites so that they flow from one to another and are in complete balance. In Tai Chi walking we transfer weight from one leg to another in a slow and controlled way, when our movement is closed this is Yin when energy is stored, and when open it is Yang and the energy is released. Even the sides of our body can be described as either Yin or Yang. So there is a constant interchange of Yin and Yang in our movements when practising Tai Chi. The Chinese characters are the word "Yangsheng" which has the meaning "Nourishing One's Life". Today's way of life can be fast and furious and it is easy to forget to slow down and take time to relax and re-nourish one's life energy. 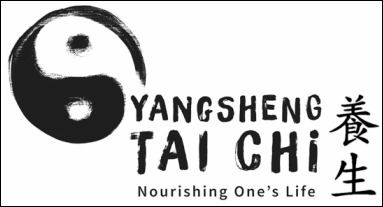 The goal of Yangsheng is to create a balanced interaction between mind and body by the practice of specific exercises with the primary aim of achieving a healthy and long life. Keith began his interest in the martial arts over 35 years ago, as a student of Shotokan Karate under Sensei Paul Perry at Jin Sei Kai - Kanazawa Ryu, and was fortunate to attend several workshops lead by Sensei Hirokazu Kanazawa - 10th Dan. This was followed by further years of training under Sensei John Van Weeden at TASK (Traditional Association of Shotokan Karate). After a break of a few years from martial arts Keith was introduced by a good friend to Tai Chi Master Miss Rose Lee which resulted in joining her large Tai Chi Club in London, and attending classes initially in Kings Cross and later at her home in Crouch End together with regular well attended workshops in Yorkshire. Miss Li's lineage starts from a young age in China where she trained at the famous Fire God Temple in Beijing. 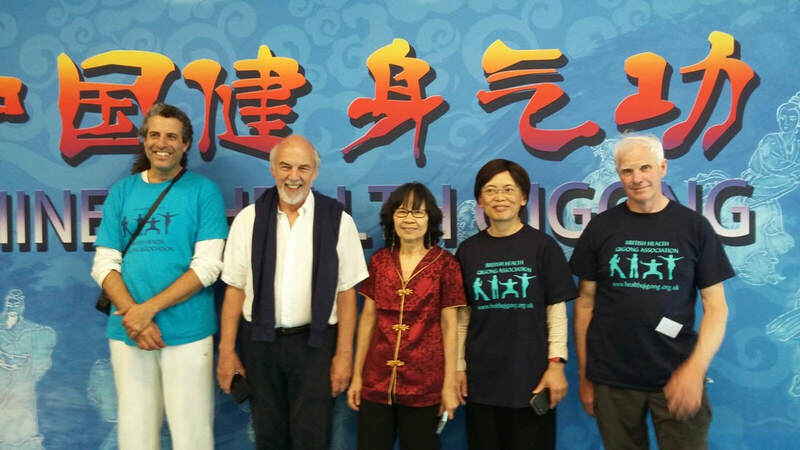 After several years with Miss Li, Keith decided that it was time to search for a club closer to home and joined the Ru-Chi Academy in Aylesbury under Grand Master Rudie Bynoe, which started his journey into Qigong and the system of healing and self-healing. Keith's Tai Chi Master: Keith feels it a privilege to train under Master Wang Hai Jun who is an official lineage holder of Chen Style Tai Chi (12th Generation). Master Wang Hai Jun was born in 1972 in Zhengzhou, Henan Province. At the age of 9 his father arranged for him to move to Chen Village to live and study with Grandmaster Chen Zhenglei, who is one of the “4 Golden Tigers” of Chen style Taiji. Each day before school he would train from 5 to 7.30am and after school he would train from 4 to 6pm. Frequently training again in the evening for another two hours before going to bed. In the autumn of 1988 Master Wang Hai Jun gained entry to the Wuhan Physical Culture University, one of the top Universities of its kind in China. He competed successfully for his university in many competitions. After graduation Master Wang Hai Jun was assigned the post of coach of Pingdingshan Wushu Research and Study College. He is a senior state Wushu referee, the president and head coach of Zhengzhou Wushu Research and Study College, and coach of Henan Chen Zhenglei Taiji Culture co Ltd. He is an official lineage holder of Chen style Taiji (12th generation) and has been certified as 7th Duan in the Chinese National Wushu Association Duan Wei System. He has an extensive list of accomplishments in competition. In 1992 he won three gold medals in National Competitions and won the championship in Push Hands at the National Taiji Boxing, Sword and Push Hands competition. In 1994 he won 2 gold in Taiji boxing and Sword at the International Wenzian Taiji Championships and won the 80kg in Push Hands at the National Wushu Championships. For three consecutive years, 1996, 1997, and 1998, Master Wang Hai Jun won gold in Form, Sword and Push hands as well as the all-round champion’s gold medal at the Chinese National Championships, the highest level of championship in China. Since 1990 Master Wang Hai Jun has taken his students to top level competitions in Henan Province and the Chinese National Championships. His expertise as a teacher is demonstrated by the fact that his students have won more than 30 gold medals in these championships. Master Wang moved to Manchester, England in 2001. He is enormously kind and generous with his knowledge and teaches across England, Ireland, Europe and USA. ​Qigong: Keith is a member and authorised instructor of the British Health Qigong Association which is run by Masters Faye and Tary Yip. Keith currently teaches the following Qigong forms and exercises: Ba Duan Jin, Shibashi, Daoyin Yangsheng Gong 12 Fa (12 Movement), Taiji Yangsheng Zhang (Stick Form), Yi Jin JIng, Zhan Zhuang, Microcosmic Orbit, Silk Reeling and various meditation practise. 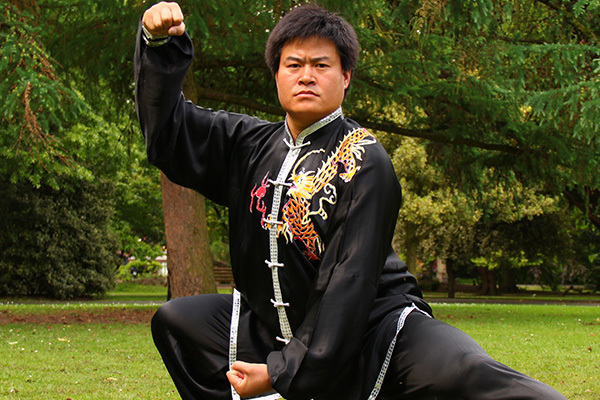 Having studied various martial arts over the years, Steve has been practising Chen style Tai Chi since 2011, initially with the Ru-Chi Academy and now with Yangsheng School of Tai Chi and Qigong. Steve has a great ability in memorising the various and sometimes complex movements of the different forms, which allows him to impart this information to the students. Steve was fortunate to have worked in China for 3 years where he also studied Mandarin.